As a responsible and committed moving company, New Jersey Transport offers all sorts of services you might need while moving home. Packing and crating is just one of them – but it is quite important for the overall moving process, given that it influences the safety of your belongings along the way. Everything we do we are trying to be the best at it. Hence, our packing services are among the best you’ll find in all of New Jersey, and beyond. Having in mind how important it is to our customers, we offer several options for packing services to choose from. What packing services can you expect if you hire New Jersey Transport? Full-service packing – Our professionals do everything, allowing you to enjoy your relocation. Partial packing services NJ – We pack only some items requiring special treatment, and you pack everything else. 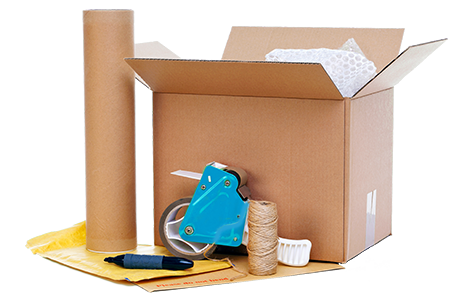 Providing you with packing supplies – If you decide to do all the packing, we have top-quality packing supplies for you. Full-service packing includes everything somehow connected to the packing process. We can assist you with de-cluttering your home. At least by giving you tips and hints how to do that. This would help you lower the costs of your relocation. Also, removing the items you never or rarely use will make more space in your new home. Besides this, our packing services include disassembling your furniture and electronics. In a manner that you can easily reassemble them once you moved into your new home. Of course, in case you want it, we can do unpacking and reassembling as well. We are here to make sure you comfortably relocate your home. In case you have some special items, requiring special packing services, we suggest you discuss it with us at the very beginning, so we would properly prepare for the task. If you provide us with every little detail we should know about your relocation, you can expect that our moving professionals will do everything to help you move with no stress, and with a smile on your face! If you want to do the packing, but you don’t want to risk, let us pack fragile and valuable items. We guarantee that no damage to your belongings will take place due to being packed unprofessionally or handled with lack of care. Our personnel is attentive, professional, and takes every single relocation seriously. The main goal of New Jersey Transport is the satisfaction of our customers. 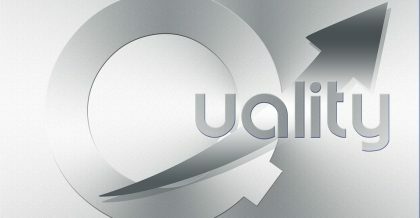 We do everything not only to satisfy your needs but to exceed them. Knowing how difficult the moving process is we want to be your partners in a safe, quick and easy relocation. With all the experience we have, we can guarantee that, if you hire us, no common moving troubles will occur. And if something we couldn’t predict happens, we assure you – it will be taken care of promptly! You want to do the packing on your own? Not a problem at all. However, to make sure nothing will get damaged during the transportation, we suggest you get in touch with us and get top class equipment, tools, and supplies. It is quite important to use the best packing supplies for your belongings. Low-quality or previously used can be a good solution in terms of saving money. However, imagine that you end up with your items broken or damaged? Would it be worth it? This way, we offer packing supplies you can afford, and be sure that your items will be safe while moving them from A to B. The manner in which we handle your items is very important to us. We pride ourselves on the low number of insurance claims we process yearly due to our diligence and care when handling your items. New Jersey Transport works hard to train each one of our crew members in the professionalism of packing and crating. The way you pack your items will dictate how well they endure during the transport period which is why we secure all items even the ones you pack yourself. We do not try to penny pinch our customers, it is part of our job to secure your items whether we pack them or you pack them. Our goal is to provide the best quality in moving service and that includes professional and responsible packing. All packing costs are always disclosed ahead of time during the reservation process and prior to your pick up date. Each item that needs to specially packed will be itemized and explained to you. New Jersey Transport invests time and energy into each and every move to ensure your items are packed and transported without any complications. Quality packing techniques are implemented to give your items superior protection and security throughout the entire moving process.